They are Ducatiste – women who create their own rules without following fashions, wishful to live a world that is the mirror and image of themselves: a world made of style, elegance, personality and intense emotions. Women who choose Ducati make reason and passion the helms of their souls, because Ducati values belong to them all. And they claim them with pride. 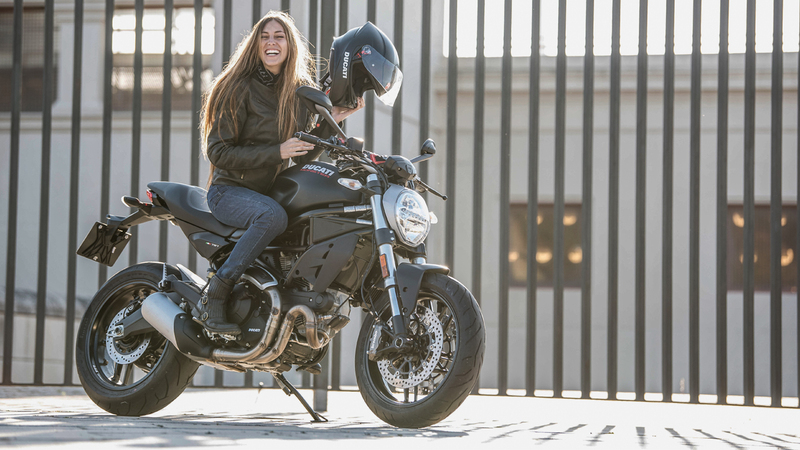 Every Ducatista brings with herself a wealth of stories, emotions, experiences – lived on the saddle as through their lives. They are women, mothers, girls of all ages and an infinite passion for their Ducati, which nobody can tell better than them. Ducatiste like Isabel, who bought her Monster that accompanies her everyday wherever she wants to go, when she was eighteen. Or like Elisa, who found in her Ducati the means to feel free to be herself. And who won’t fail to pass this passion to her son. Ducatiste are like Carmen, who found in her Supersport the perfect dress for herself, that allows her the satisfaction of leaving behind her husband with his Panigale, once in a while. Or like Hanne, whose love for Ducati led her to buy one a few months before obtaining her driving licence. They are Ducatiste like you, who are trying to imagine a border for the sake of riding and overcoming it. You with your Ducati. Isabel, Carmen, Hanne, Elisa: many stories with different faces, cultures, continents, each of whom is a declaration of personality. The world of Ducatiste is the world of women who made character, passion and free expression their flags: a community that is thirsty for emotions, like the ones that only the world of Ducati can offer. Proud, free and determined: Ducatiste, whoever they are, love to choose their roads without ever looking behind. On the saddle of their Ducatis, it will be an endless adventure every day.